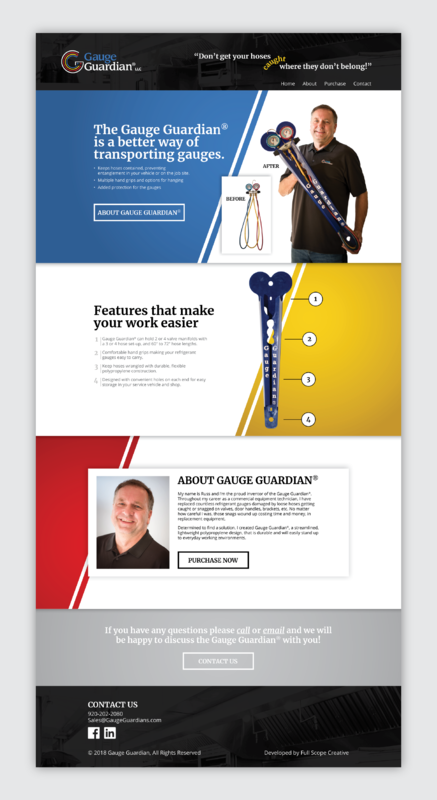 The Gauge Guardian is a revolutionary tool that prevents refrigerant gauges from getting ruined by becoming entangled. It tidies up the gauges hoses by containing them individually and making them easy to transport and carry. 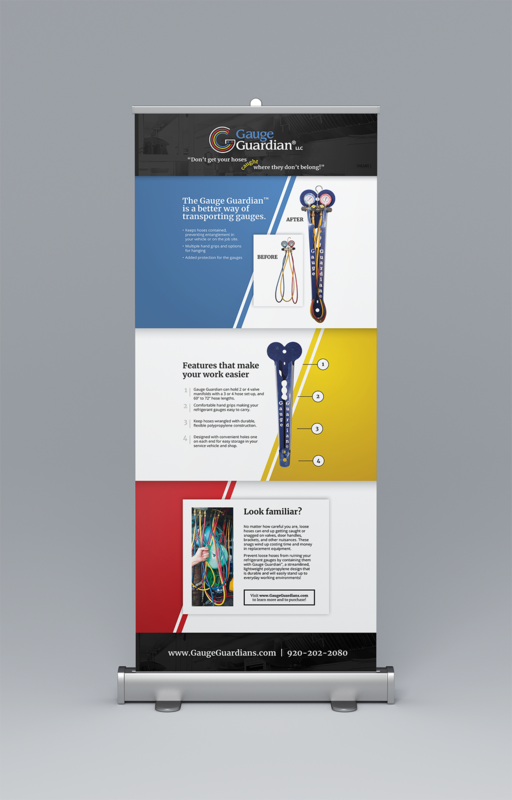 Gauge Guardian wanted to address its target market’s pain points directly through their website and marketing materials and offer the immediate solution by pointing out how the tool answers these frustrations through its unique features. The catchy slogan was clearly displayed on the top to quickly point to the reason why you may buy one of their products. 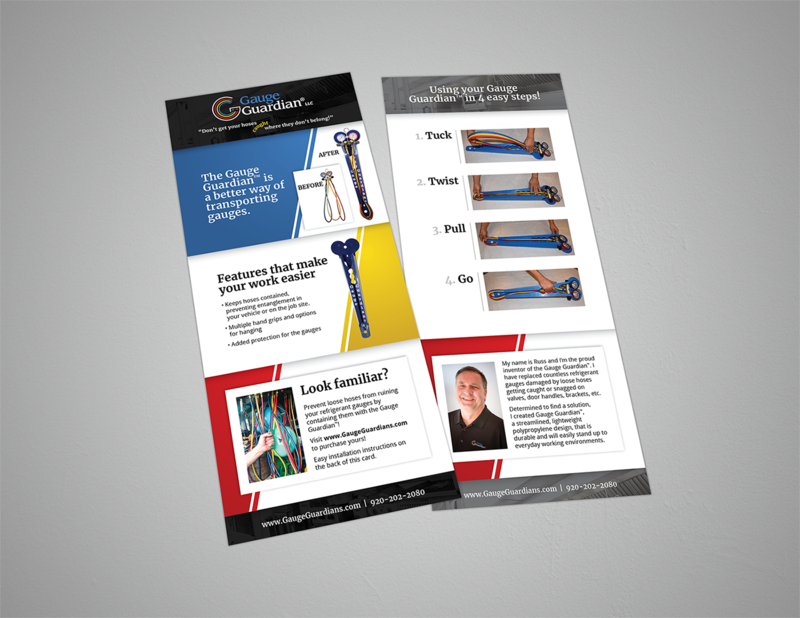 The information was strategically laid out to create the pain, explain there is a solution, and then quickly prove the solution through an easy to understand graphic of the product and its features. 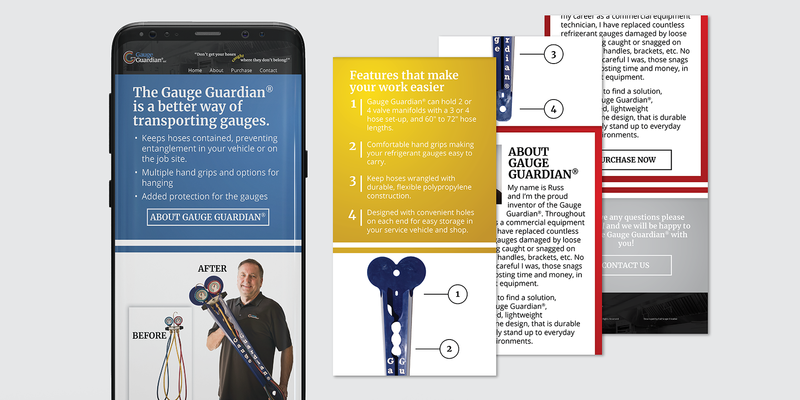 The new branding generates excitement for the product, and clearly directs viewers’ attention to the Gauge Guardian’s main features.